Ford says Ferrari's new race car - the F150 - shares a name that is too close to its best-selling F-150 pickup line. Ford Motor Co. filed a lawsuit today against luxury sports car maker Ferrari S.p.A. and its American sales arm, accusing them of cyber piracy and misusing the F-150 name. 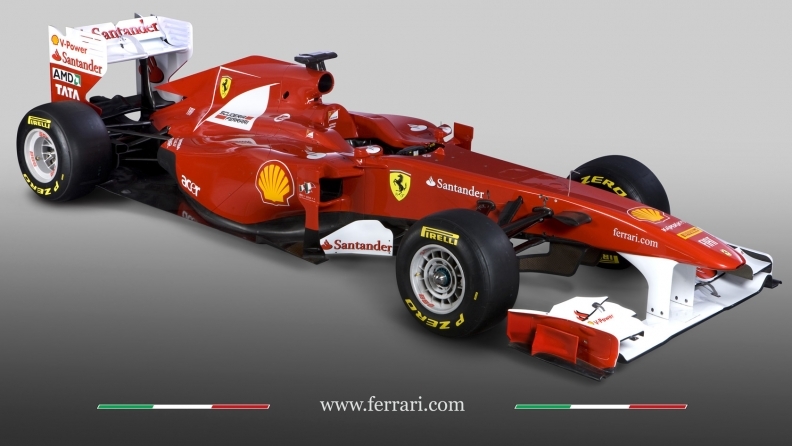 The Italian automaker has also created a website for the sports car, www.ferrarif150.com. Ford claims the Italian company's name, spelled without a hyphen, is too close to the hyphenated one of the Ford F-150 pickup. The Detroit News first reported on the lawsuit earlier today. On Jan. 25, Ferrari said it would name its new Formula 1 car the “F150.” Ferrari says the name is a reference to the 150th anniversary of the unification of Italy. "We are simply speechless," a Ferrari spokesman told Automotive News Europe this morning in response to the lawsuit. He noted that the F150 is a racing-only Ferrari model, which is not for sale, either for private customers, or for racing teams. In addition, the F150 will not compete in the United States, where Formula 1 races stopped last year. Ford wants a judge to block Ferrari from using the trademark in the United States, according to the lawsuit filed with the United States District Court in Detroit. The ban would include importing, manufacturing or selling any F150 products in this country. Ford also wants Ferrari to surrender any profits earned in the United States through the use of the F150 name, the lawsuit stated. Under the Anticybersquatting Consumer Protection Act, the U.S. automaker is also seeking $100,000 in damages. The act prevents the creation of website domain names that could confuse users about the products available. Ferrari is using the F150 name “in order to capitalize on and profit from the substantial goodwill that Ford has developed in the F-150 trademark, and in order to trade off of Ford's famous and winning trademark,” the company says in the suit. Attorney Marc Lorelli, who filed the lawsuit for Ford, was unavailable for comment. Ford did not respond to requests for comments. Ford says it has used the F-150 name on its popular pickups since 1975. The automaker trademarked the moniker in 1995, according to the lawsuit. Since 1997, gross revenues on sales of the F-150 have exceeded $180 billion, the suit said.